Nurses really are Awesome! 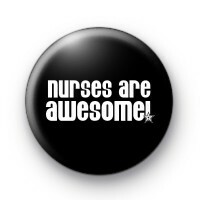 They do a phenomenal and often thankless job of caring for us when we are at our most vulnerable and I think this 1 inch badge needs to be worn by more of our wonderful nurses! Especially our NHS staff.